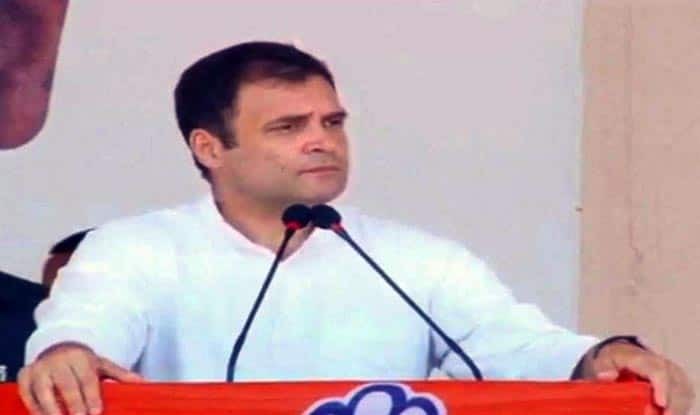 Speaking from the land, where Sabarimala temple is located, Rahul Gandhi said, "the Congress will never take an action that stops people from genuinely expressing their faith". New Delhi: Congress Chief Rahul Gandhi on Tuesday said his party believes in allowing people to express their faith and sentiments and never stopping them from “genuinely” expressing their belief. The Congress Scion said this while drawing parallels with the Bharatiya Janata Party (BJP)-led NDA, which, as claimed by the grand old party, is trying to convert the Sabarimala issue into a major poll plank. “Where people can express what is there inside their heart as long as those expressions are peaceful and non-violent,” Rahul Gandhi said while addressing a massive poll rally in Pathanamthitta, where the much-debated Sabarimala Lord Ayyappa temple is located. “The Congress party believes in allowing all people to express their faith, express their beliefs and express their sentiments,” Gandhi added. The Congress chief also said he chose Wayanad in Kerala as his second constituency as the southern state respects other people’s ideas. Pathanamthitta is witnessing a fierce tri-cornered fight between Anto Antony of the Congress-led UDF, Veena George of the CPI(M)-headed LDF and BJP-NDA nominee K Surendran. However, Gandhi was cautious not to mention the name of Lord Ayyappa or the recent agitations witnessed by the state against the entry of young women there. Pathanamthitta was ground zero of the Sabarimala women’s entry agitations last year. The entire Kerala, including Pathanamthitta, had witnessed frenzied protests by devotees and right wing outfits against the CPI-M-led LDF government’s decision to implement the September 28 Supreme Court verdict, permitting women of allage groups into the hillock shrine.